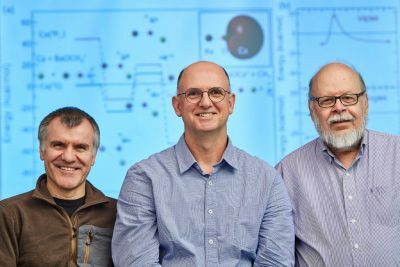 Through a process known as “controlling chemistry,” the researchers bonded an oxygen atom to two different metal atoms, creating the barium-oxygen-calcium molecular ion or BaOCa+ The same process could lead to the creation of other exotic new materials and the design of novel chemical compounds, according to the team from the University of Connecticut, University of California-Los Angeles, and University of Missouri, whose work appeared in the Sept. 29 online issue of Science. 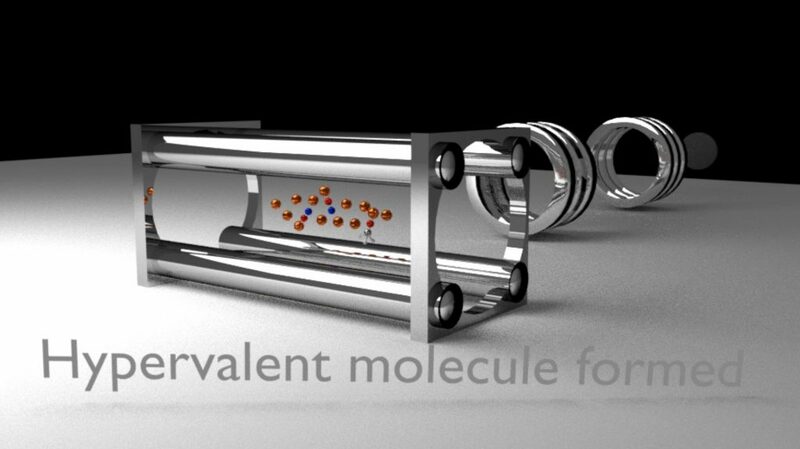 Watch an animation of barium ions inside a Paul Trap. See a real time image of crystal ions. In the current study, the researchers spent more than 18 months trying to figure out what was driving the chemical reaction creating the new molecule. They analyzed experimental data, performed quantum chemistry calculations, and tested various theories in the lab. In many ways, it was like solving a mystery. The scientists knew the molecule could be formed because their UCLA peers had seen them in the hybrid ion trap. The challenge was trying to explain how it was happening. This entry was posted in Highlights, News and tagged AMO, Research.